Many active adults dream of retiring to 55+ communities in the San Diego area. This sunny hot spot offers a variety of exciting local attractions, and what some call the "Best Weather in America." Though home prices had once set this retirement dream beyond the means of many active adults, there are several active adult communities in the San Diego area that offer affordable housing. The San Diego area is home to a wide range of active adult communities, ranging from quaint 150-home communities to the larger, more luxurious communities with over 1,000 homes. Those seeking a 55+ community in the San Diego area will delight in the year-round climate, cultural attractions, and the recreational opportunities that the region offers. There are many reasons why retirees are drawn to active adult communities in the San Diego area, and the climate is certainly high on the list. 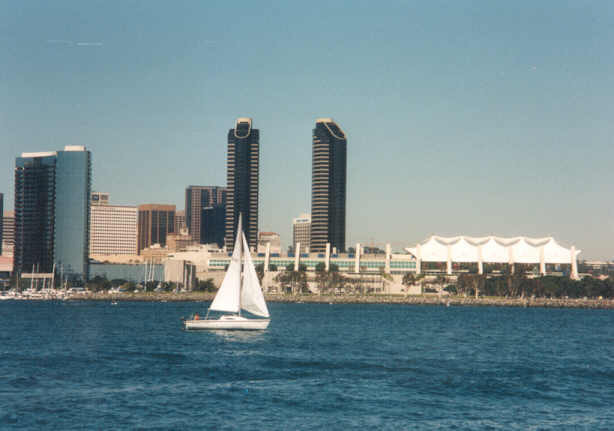 The San Diego area lies between a Mediterranean climate to the north and a semi-arid climate to the south and east. This leaves the area with beautiful weather, including warm, dry summers and cool, but mild winters. San Diego is considered as having one of the best summer climates in America. Like the rest of Southern California, San Diego s coastal location provides the area with several microclimates. During the early summer, the beach usually has a thick marine layer, creating a cloudy, foggy effect while, five miles inland, the sun shines brightly. The coast also serves as a moderating influence for San Diego active adults and, on average, experiences less temperature fluctuations than those further inland. San Diego lies on approximately 200 deep canyons and hills separated by mesas, creating a hilly landscape throughout the city. Residents of active adult communities in the San Diego area also enjoy fabulous views of the mountain peaks that include Cowles Mountain, Black Mountain, the Cuyamaca Mountains, and the Laguna Mountains. Active adults in the San Diego area can also enjoy the Cleveland National Forest which is just thirty minutes away. The available activities near area age-restricted communities in the San Diego area are plentiful. San Diego's many attractions give it a rich personality that changes from one area to the next. Downtown provides great urban activities, including shopping, dining and cultural attractions that are sure to please residents of San Diego 55+ communities. The nearby coast provides easy access to surfing and is also home to several large nature preserves, like Torrey Pines State Reserve and Mission Trails Regional Park. 55+ communities in the San Diego area can also enjoy the city s art and history museums, as well as the San Diego symphony. History buffs can wander through the USS Midway Museum before enjoying dinner at one of the city s highly-regarded restaurants. Sports fans can enjoy a game at the park with the San Diego Padres or the San Diego Chargers. Many areas just outside of age-restricted communities in the San Diego area offer their own unique attractions. Old Encinitas Historic Downtown District is one popular destination that is full of interesting boutiques and moderately-priced restaurants. Other nearby Southern California attractions include the San Diego Zoo, Sea World, the Wild Animal Park and Seaport Village. San Diego, like the rest of the state, is more expensive than the rest of the country. On average, San Diego s cost of living is 25.7 percent more than the national average but is 4.2 percent less expensive than California as a whole. San Diego has an 8 percent sales tax, a 1.7 percent property tax rate, and taxes pension income. Residents of active adult communities in the San Diego area can find some relief in California s tax relief programs for low-income residents, untaxed Social Security benefits, and can qualify for a $7,000 reduction in the taxable value of their property. San Diego area 55+ communities are near three nationally-ranked hospitals by U.S. News. The UC San Diego Medical Center has eleven specialties, including cancer, orthopedics and geriatrics. The Scripps La Jolla Hospitals are known for their cardiology treatments while Scripps Mercy Hospital is known for their treatment of diabetes.